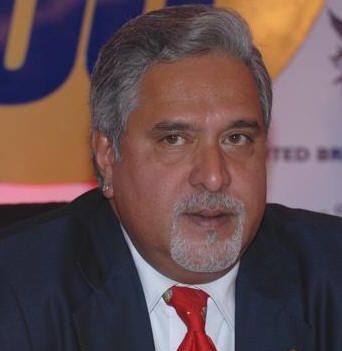 January 23, 2017 - The defunct Kingfisher Airlines’ Chairman and Managing Director, Vijay Mallya along with three other senior employees and five state owned Industrial Development Bank of India (IDBI) executives have been arrested by Indian’s Central Bureau of Investigation (CBI) on charges of criminal conspiracy and corruption in connection $134 million loan the carrier received in 2009. Among the executives arrested in a raid on 11 locations include Chief Financial Officer of Kingfisher, A. Raghunathan and former Chairman of IDBI Bank, Yogesh Agarwal. The CBI has been investigating Mallya since 2015, when allegations were made that Mallya diverted loans made to Kingfisher by IDBI into foreign assets. Among the charges, Mallya was charged with failing to follow proper procedures in taking the IDBI loans. It has been reported that Mallya fled India just after CBI began its investigation and moved to the United Kingdom where he owns a home in Hertfordshire and an apartment and office in London. Kingfisher wich began in 2003, went out of business in 2012, with debt and interest owed to India’s state banks in excess $1 billion. Kingfisher began passenger operations in May 2005, with flights from Mumbai to Delhi. In 2008, the company began international operations from Bengaluru to London. Kingfisher which was a low-cost carrier, operating four new Airbus A320-200s, was never able to turned a profit.